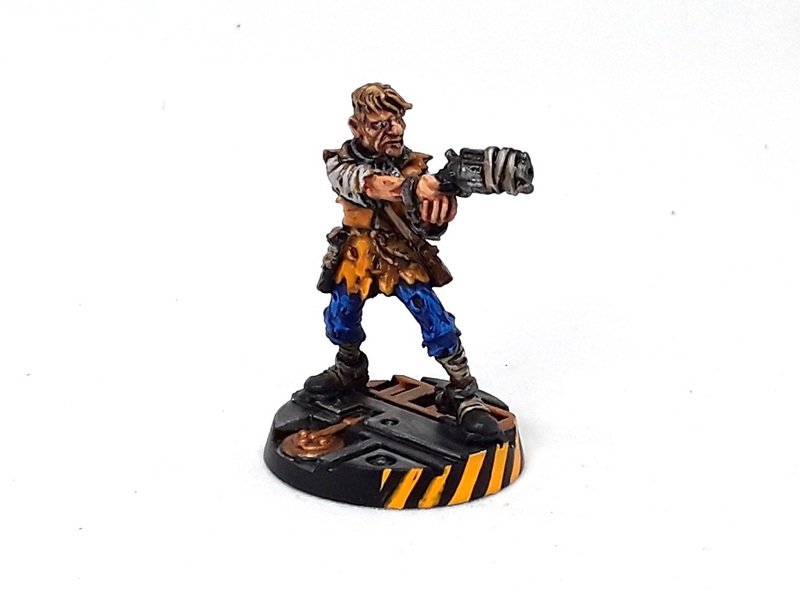 Mordian 7th Regiment: Necromunda - Scabs painted! Can't have Kal Jerico without his trusty (and slightly smelly) sidekick Scabs, now can you? Went a little brighter with his color scheme, and went with a variant of the official art that seemed to contrast well with the colors on Kal. Blue and yellow are always great colors to put together! 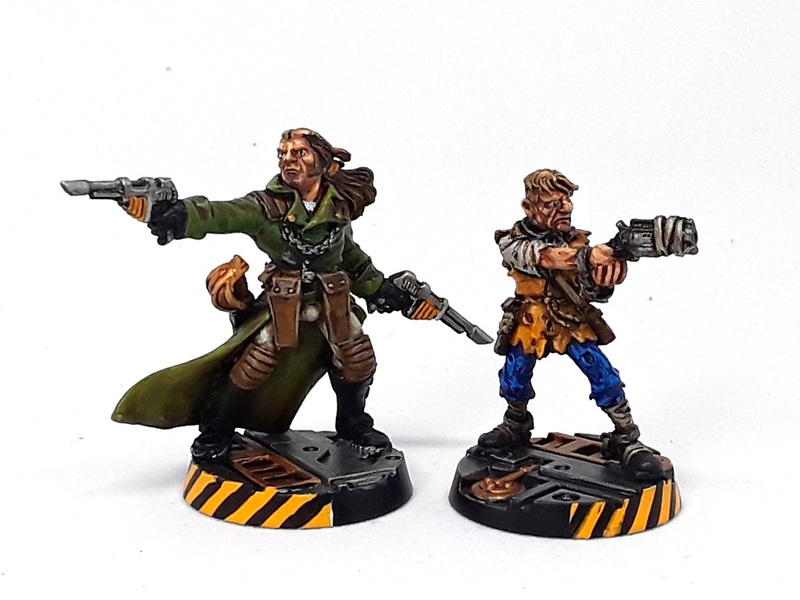 The dynamic duo ready to make a fortune in the underhive with their derring-do! I'm really hoping that we'll see GW come out with updated official rules for them at some point! Brilliantly executed! They look great! Thanks man! They were always my favorite characters from back in the day! Great stuff. It must be a very different painting experience just having the two figures in front of the painting servator? Enjoying these. The bee - gees are sing in my head "how deep is your closet ?" Scabs always got the rotten end of the deal in the comics. What a great duo! The start of a Venators gang for Necromunda? Indeed! 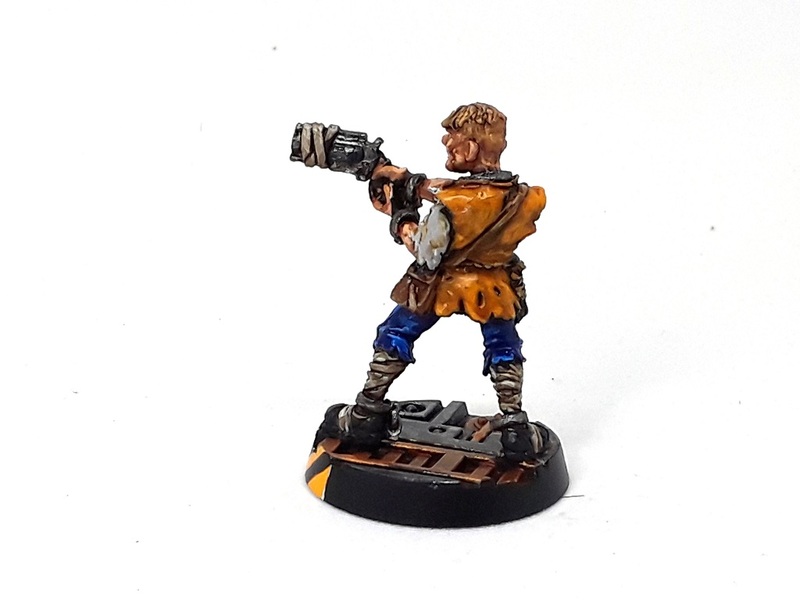 I'm planning on running an Arbitrated Necromunda campaign at the local shop in a month or two, and will be doing a number of special characters for custom scenarios!